Two beers is all it takes to feel buzzed. Two cups of coffee is way more than it takes to feel buzzed. You’re an expert at falling asleep on the couch. Your most exciting purchase is a new cutting board. You spend your Sunday organizing the drawers in your bathroom. The 10 o’clock movie is just way too late. And that was my weekend in a nutshell. 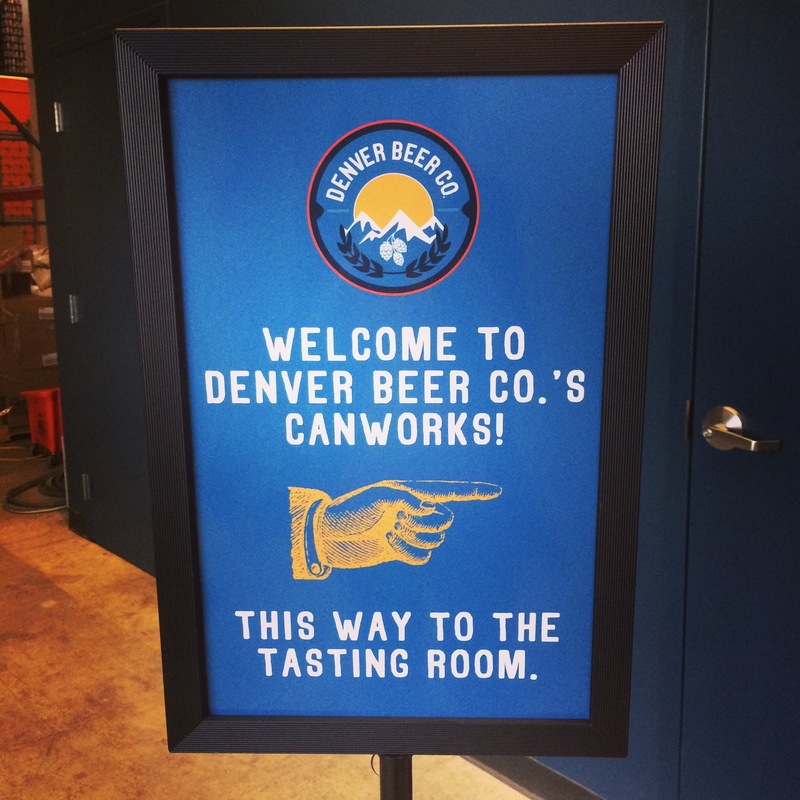 If you want the long version, it started with a private brewery tour at Denver Beer Co. Canworks which is dangerously close to our house. We showed up to check it out and being pretty new, it was empty so we got our very own tour. The inner workings of a brewery just blow my mind. I pretty much think it’s the coolest thing ever. Or maybe it’s all just so scientific and therefore over my head and impressive. Oh and I got to try my first pumpkin beer of the season. 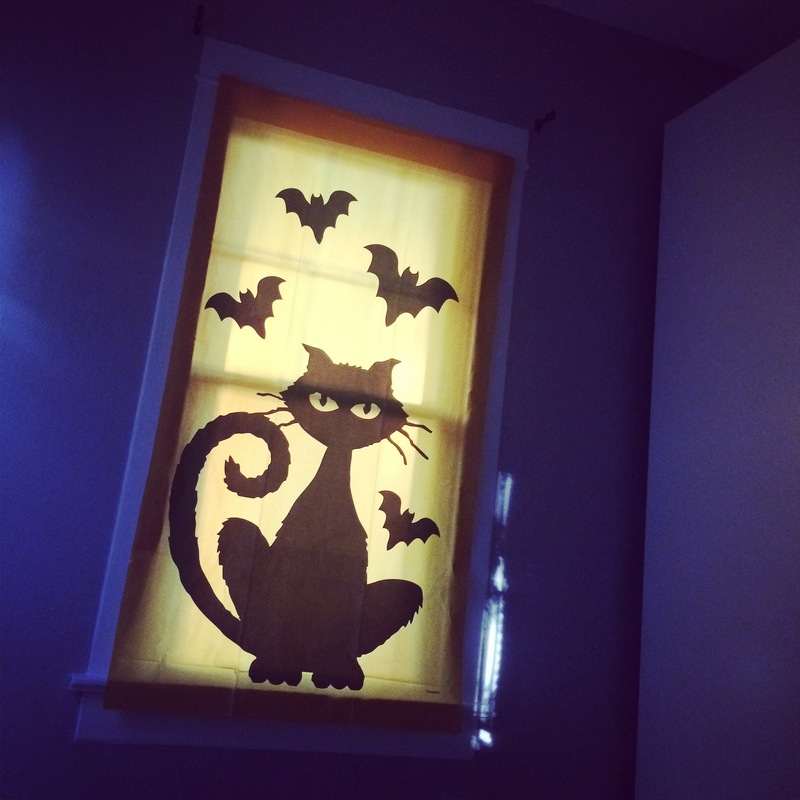 Hey, Pumpkin! (<— That’s what it’s called). Insert falling on asleep on the couch #1. On Saturday we had a blissfully open schedule. I’m not going to lie, it is incredibly strange to have weekends without plans. We kind of don’t know what to do with ourselves! 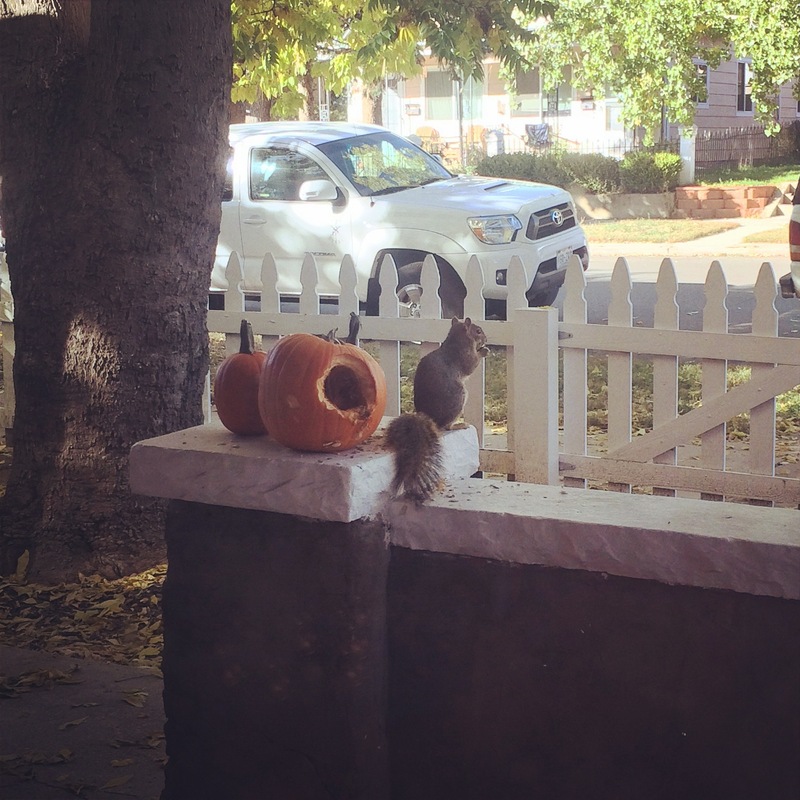 After watching a squirrel eat our decorative porch pumpkins, we decided we’d better get out of the house. We went with the good old couples shopping day… gross, I know. Like I said, we got a new cutting board. But it’s a Boos Block so it totally warrants excitement. 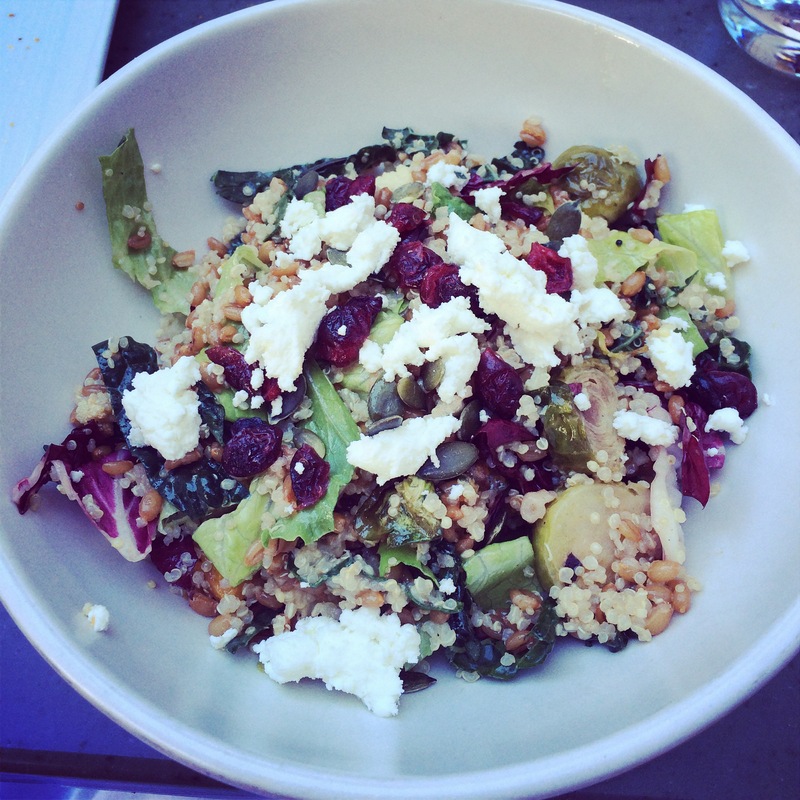 But really, the best part was a spontaneous lunch at North in Cherry Creek. I saw kale salads on the menu and was sold. 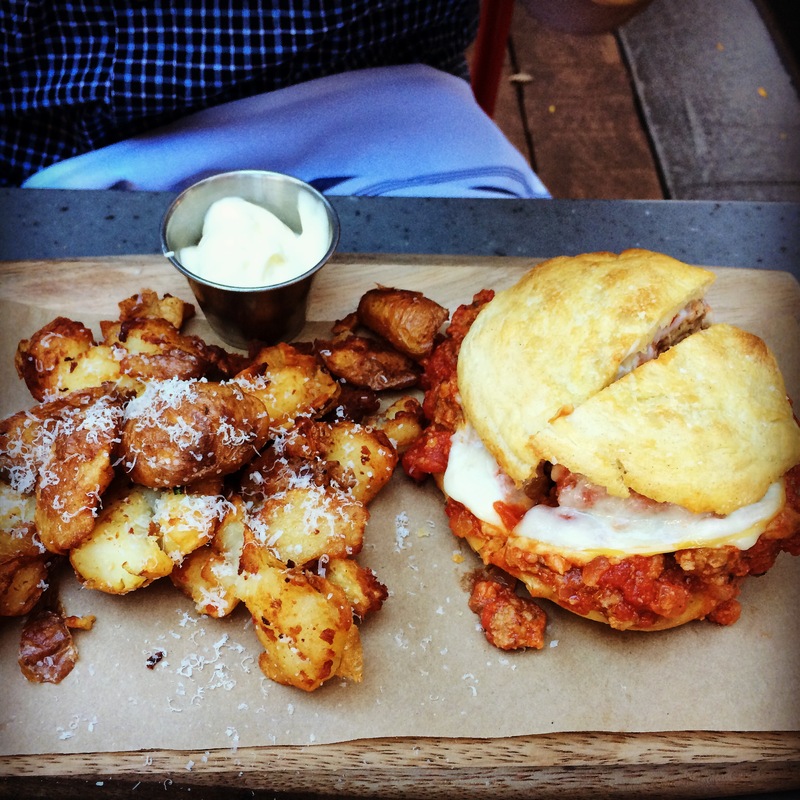 Joey got a meatball sandwich and the accompanying crispy potatoes were to die for. After getting a late afternoon facial (can I please get one of those every week? ), we took ourselves out to see a movie. The Skeleton Twins was really really good and we both liked it. I had heard that it was pretty dark (and moments of it definitely are), but I wasn’t prepared for all of the funny moments! Don’t hate me, but I think this was the most I’ve ever liked Kristen Wiig and she and Bill Hader had such amazing (and believable) chemistry. It was actually a very sweet movie. Insert falling asleep on the couch #2. SNL, why do you put me to sleep?! 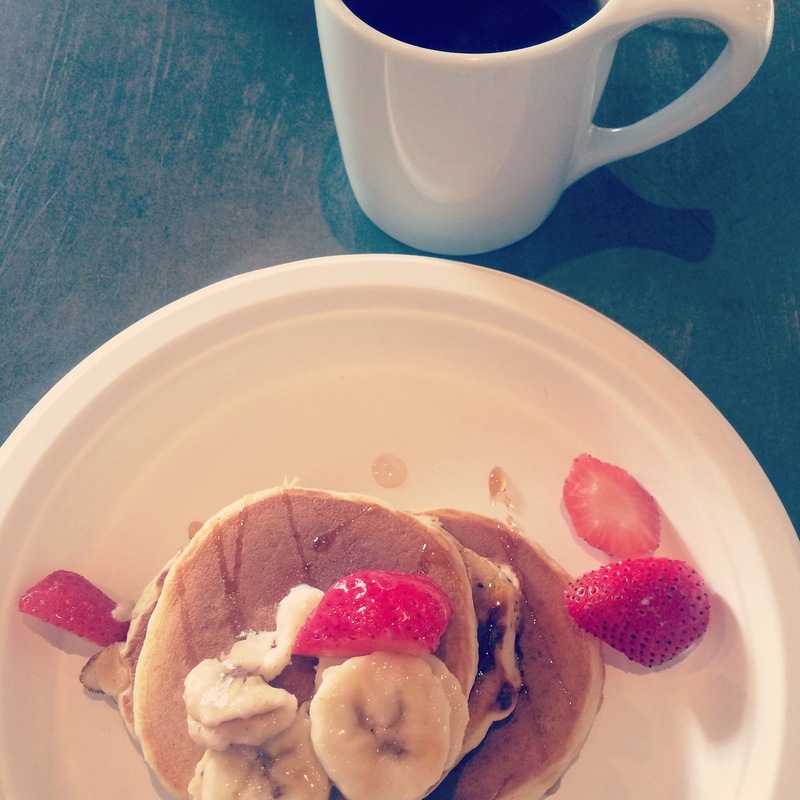 Our favorite coffee shop was hosting a pancake party yesterday morning so we walked over for bottomless cakes and coffee. Except that the bottom was two cups and that was too many. Yoga later in the afternoon was a little shaky 🙂 I won’t even divulge the rest of my Sunday for fear of boring everyone to tears.